Steele Hill Resorts, perched on top of Steele Hill in the heart of New Hampshire’s Lakes Region, offers stunning views of Lake Winnipesaukee and Lake Winnisquam framed by the White Mountains. Set amongst 500 acres of unspoiled fields and hardwood forests, guests enjoy a 9-hole executive golf course, snowmobile trails, snowshoeing, and hiking trails, and fishing in our private pond. Magnificent year-round swimming pools and hot tubs in a plant-filled conservatory are the centerpiece of The Amenities Center. Other guest privileges include additional indoor and outdoor pools, tennis and racquetball courts, exercise rooms, roman spa, whirlpools, sauna and an enclosed observation tower. You can also enjoy the scenic vista from the Resorts’ full service restaurant, the Hilltop, and the adjacent fully-licensed lounge. 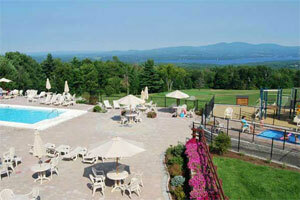 The nearby lakes and mountains of New Hampshire offer ample opportunity for year round recreation and scenic drives. 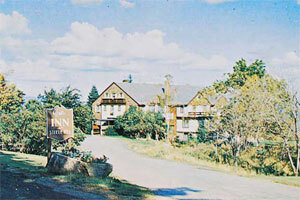 Our New Hampshire resort is the perfect location for your next vacation, celebration, conference or retreat.